Captain Tom’s guest Emma visiting from Sweden with a beauty winter chinook. Looks like we left some of the cold weather behind us for now, with some bright and sunny days in the forecast for the next few days so don’t forget to bring your sunglasses if you are heading out on the water this weekend. 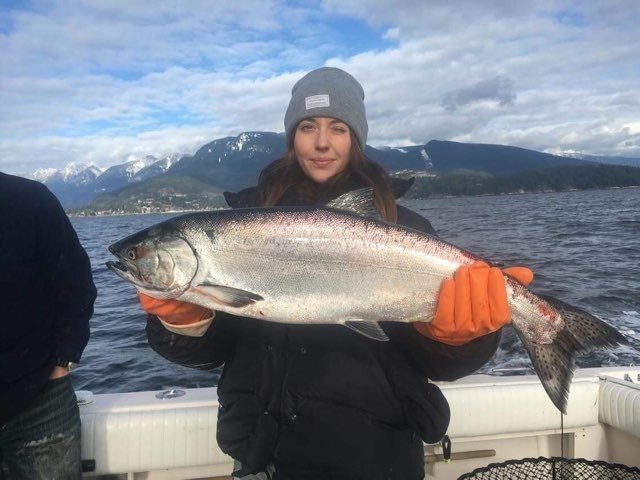 In terms of where to go this weekend, we have had great fishing up Howe Sound this week, and the Harbour has also produced a couple of fish if you’re looking to stay closer to home. If the marine forecast allows for a crossing, we have also had great chinook reports from the Gulf Islands. Glow flashers and glow spoons such as Skinny G, Kingfisher and G-Force have been producing well. While you might not need it this weekend, its always a good idea to bring a UV light with you charge up the flasher and spoons once in a while, specially true on a cloudy of overcast day, or early or late in the day. We have been out on the water every day this week and fishing has been solid in the usual hot spots. Winter chinook are aggressive feeders and we have seen great action on our guided trips. While not every fish caught is a keeper, the undersize fish still give a good fight. As always this time of year we have found the best fishing just off the bottom, so keep your gear close to the bottom for the most part. On some days we have seen some suspended bait balls, so always a good idea to follow the bait on the sonar and adjust your trolling depth accordingly. Crabbing in the Harbour has been good this week. We have been setting our traps in 50-65 feet of water. 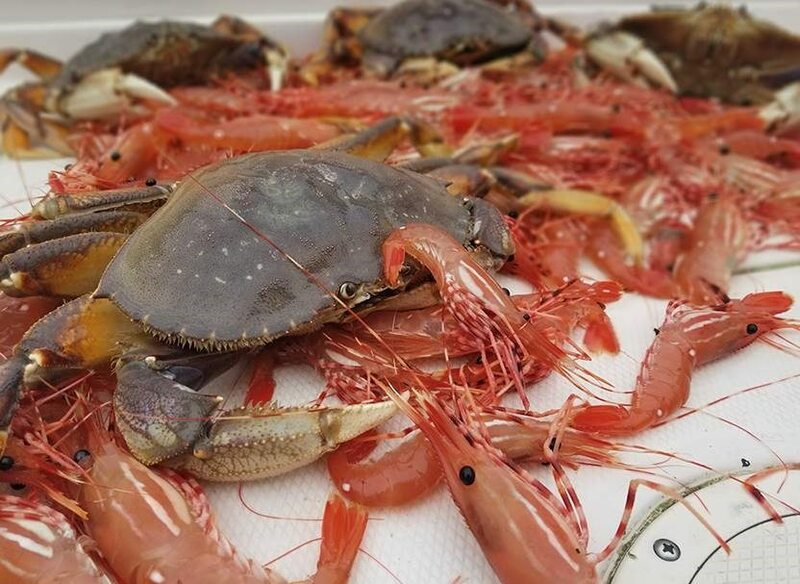 Our go to crab bait is salmon heads but if you are out of salmon heads, chicken back and neck are another great alternative that often produce just as well. Prawning has been good as well too. Make sure to keep your traps in 200-350 feet of water on rocky bottom that has a slope to it for best success. We found it highly productive to add some extra weight to our traps to keep them from moving around on the bottom due to tide and wave action. We have boats out all weekend, so make sure to follow us on our Instagram and Facebook page for live updates from out on the water.